Many successful hotel managers acquired the skills and knowledge needed to succeed in their career by taking a specialized course or training. Not only will it help to advance your career, it also reflects quite well on your resume and during the interview process. If you aren't familiar with hotel management courses, you may be wondering why you should enroll in this type of training and how it will be beneficial to your career. Let's take a closer look. Enrolling in a hotel management course is a great way to help secure a career in the hotel industry. Paid lodging establishments have existed since the early days of civilization. In recent decades, they've become even more popular. According to Statista, the U.S. hotel industry generated $115.6 billion in 2001. Fast forward to 2017, and the industry's revenue nearly doubled to $208 billion! This number is only expected to climb higher in the years to come. 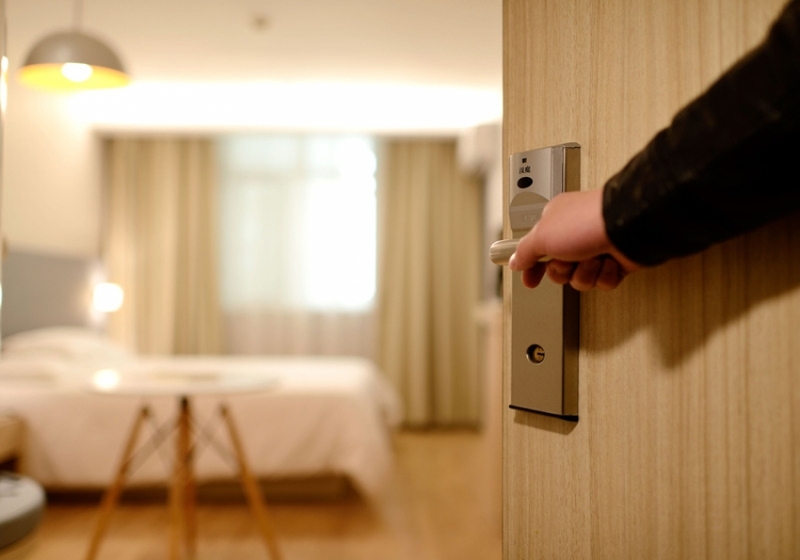 Furthermore, the average occupancy rate for the U.S. hotel industry reached 65.9 percent -- the highest occupancy rate in more than 17 years. It can be frustrating when you secure a new job, only to discover that there's no real room for advancement in your new career. The truth is that some businesses offer little or no career growth opportunities at all. As a hotel manager, however, you can work your way up the corporate ladder. You may start off as a front desk manager, for example. But if you continue to project a positive, hardworking attitude, the hotel may offer you an upper-level management position, such as department manager, general manager, or senior manager. Enrolling in a hotel management course will teach you the specific skills needed for success in this industry. A bachelor's degree in business administration may provide you with some basic knowledge of management, but it doesn't specifically focus on the hotel industry. Because the hotel industry is such as a unique sector, it requires a more specialized form of training, such as a hotel management course. The curriculum is custom-tailored to prepare students for a career in hotel management. Although it's often referred to as a "hotel management course", this type of training can help you secure a job or career in many other businesses, specifically hospitality type businesses. After earning your certificate of completion or diploma in a hospitality course, you can apply for a management job at hotels, motels, resorts, bed and breakfasts and more. Visit AHA World Campus for more information on our online business and hospitality courses and take the first step towards your new career today!